Thailand‘s biggest island in the Gulf of Thailand, Koh Chang, offers with the Top Resort several suitable accommodations for the discerned lover of a tropical island. Our family-style resort is placed at the southern end of the “White Sand Beach” community, in the tranquility and privacy of a huge and lush tropical garden, which hugs a cliffside.Our layout is designed with maximum comfort in mind, we offer 12 well proportioned hotel rooms, 2 garden bungalows, 1 family apartment, 2 apartments, 2 family bungalows, 2 sea view villas and 3 seaview bungalows, overlooking the Gulf with its mindboggling sunsets. Our flagship rooms called seaview-villas, both have recently been completed and feature unobstructed panoramic views over the Gulf of Thailand from either your privat terrace or panoramic window. Let us be your host for an unforgettable vacation and provide you with a holiday residence in style. 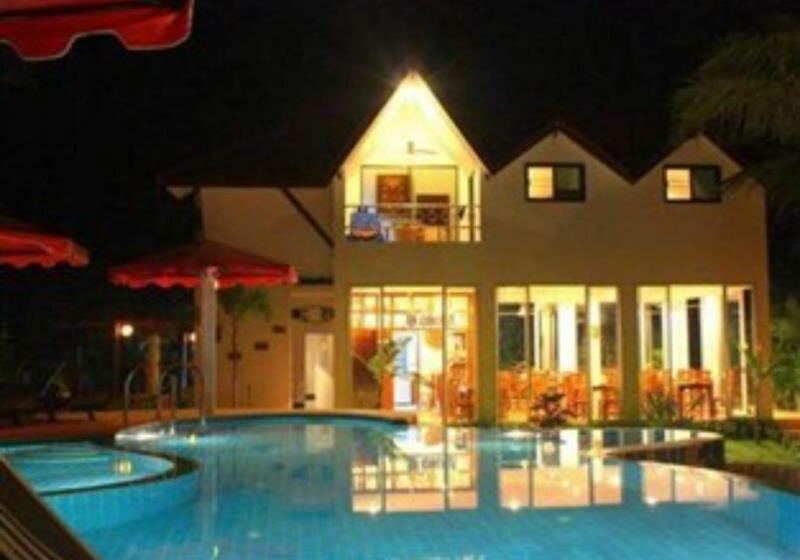 Short Description: Thailand's biggest island in the Gulf of Thailand, Koh Chang, offers with the Top Resort several suitable accommodations for the discerned lover of a tropical island.